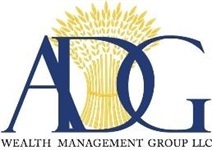 ADG Wealth Management Group, LLC offers a comprehensive array of financial planing services to individuals, business owners and retirees. Through our guidance, we can assist you in having a secure financial outlook through every stage of life. Saving for retirement requires careful planning and systematic saving. We are committed to helping inpiduals develop a strategy that will meet their specific retirement goals. Whether you are in the accumulation phase or have already retired, we can assist you in putting all the pieces in place for a successful retirement. We can extend our services to our business-owner clients by consulting on tax matters, sale of your business, or acquisition of another business. We also can advise on employee group benefits and retirement planing services. With the price of education rising every year, the burden of paying for a child's school expenses can seem overwhelming. We can assist you in choosing a tax-advantaged college savings plan that can help finance your child's or grandchild's higher education. These options include 529 Plans, Education Savings, and Pre Paid Tuition Plans that provide tax-deferred growth. Preserving and transferring wealth from one generation to the next can be complex and time consuming. Guidance and experience can go a long way toward helping make sure your estate is transferred in a manner consistent with your wishes. We aim to help you maximize the value of the estate by helping you formulate a plan that integrates the expertise of professionals including CPA's,Estate Attorneys, and Insurance Professionals.